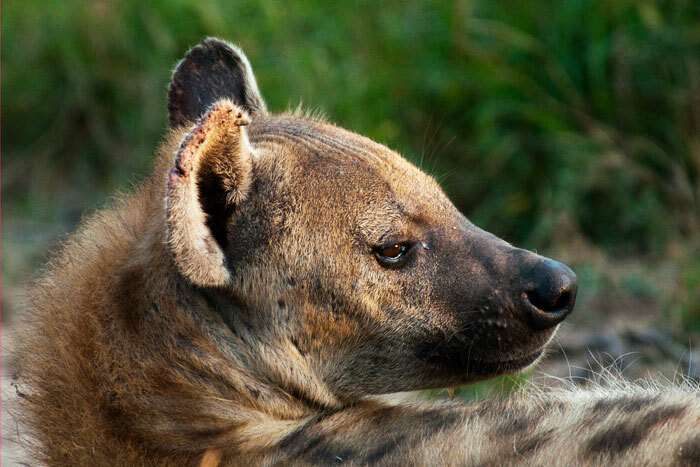 This week, once again, the lions were relatively quiet and elusive around Londolozi, leaving room for incredible sightings of other top predators: leopard, hyena and even wild dog. The young Mashaba Female is growing up, and also contributing to some territorial disputes amongst the females of the south eastern section of Londolozi. 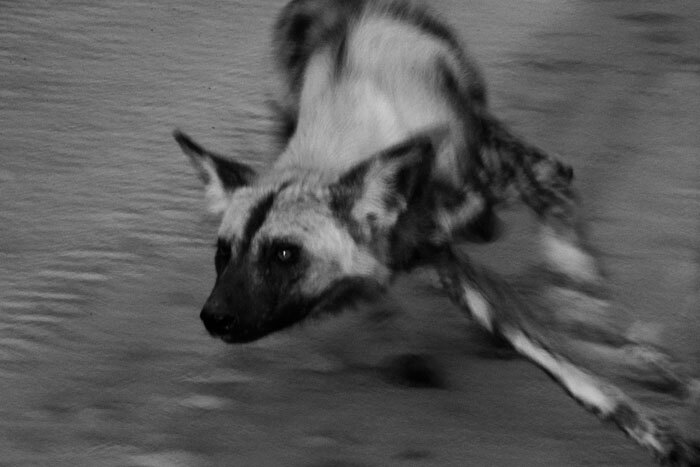 The wild dogs were seen frequently, and we had some fantastic sightings of them. 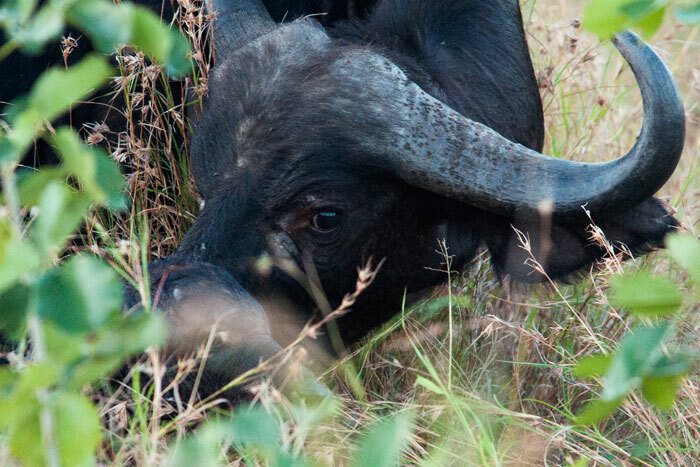 Another highlight was watching a buffalo take its first steps. This week I have included some series of shots from a few different sightings, as well as some more unconventional ones which I hope you’ll enjoy! 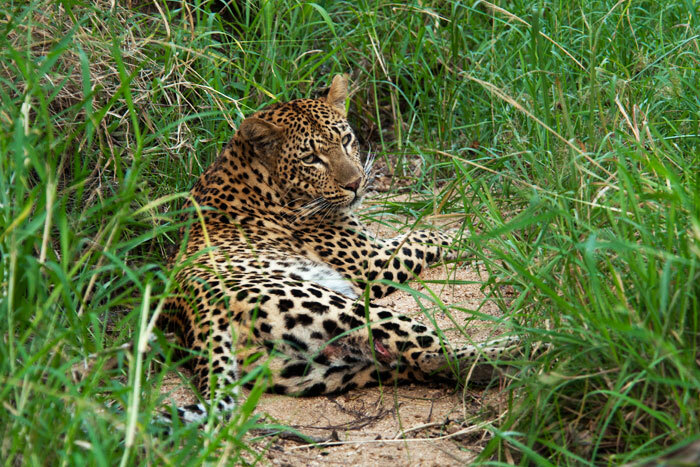 The Mashaba Female looks back at us, taking a break from feeding on her duiker carcass. We noted the wounds on her hind legs, perhaps the result of being in the Maxabene Female's territory, although we are not sure. 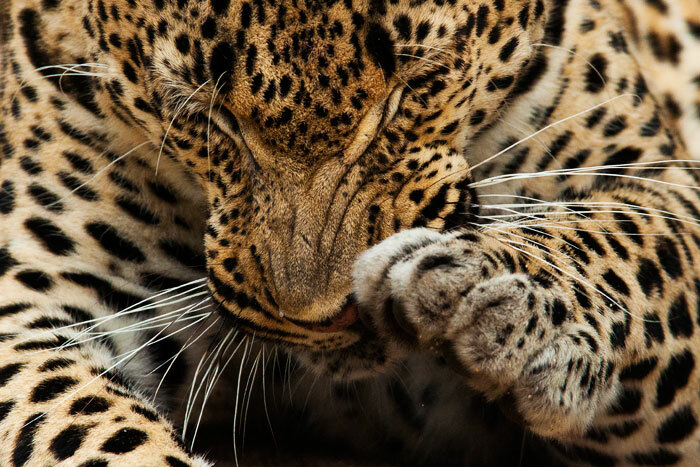 This week, this leopard was only found outside of her usual territory. Three klipspringers catch the remains of the sun on a kopjie in Marthly, the north of Londolozi. 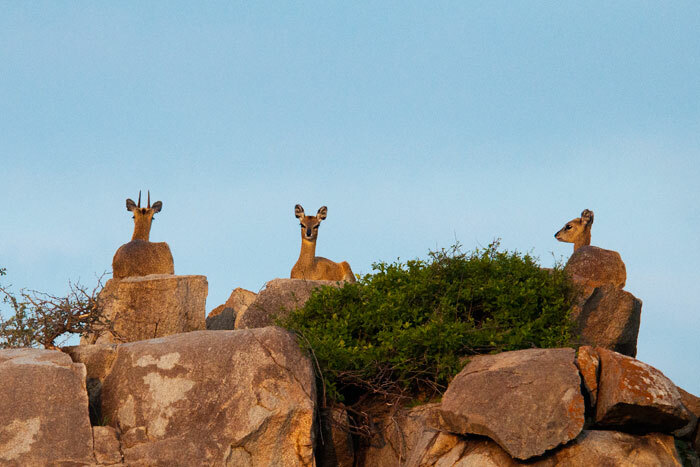 These small and rarely seen antelope are specially adapted for rock living, with slip-resistant hooves and requiring very little water for survival. 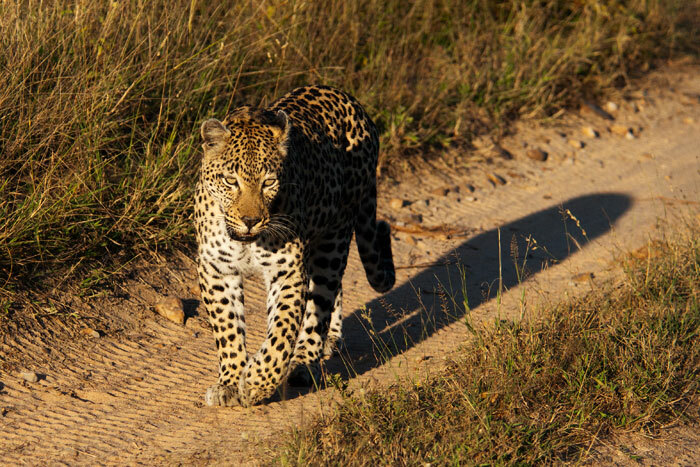 The Maxabene Female struts down the road. We hadn't seen this female in quite a while so it was a real treat for Freddy and me. 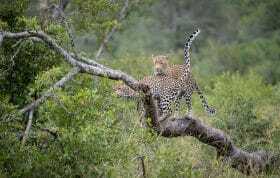 She also showed signs of having been in an altercation with another leopard, with some wounds on her hind legs. 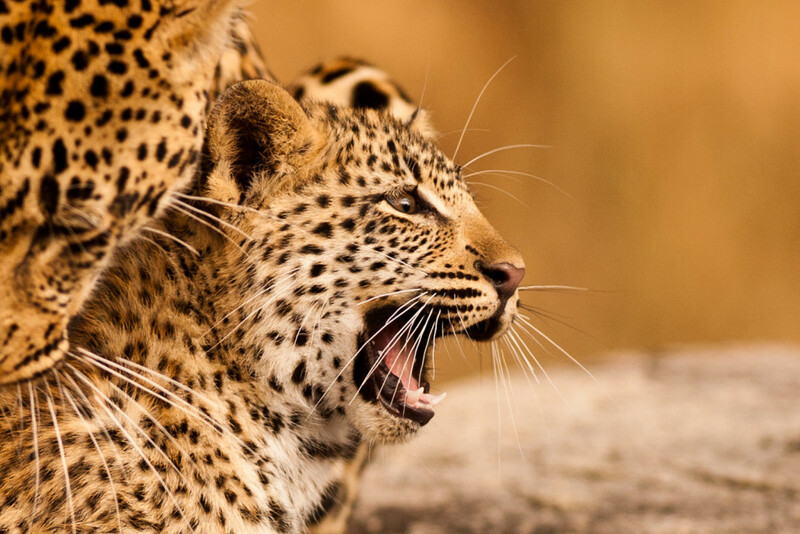 Both the Tamboti and Mashaba Females were seen in her territory this week, so she may have run into either, or both, of them. 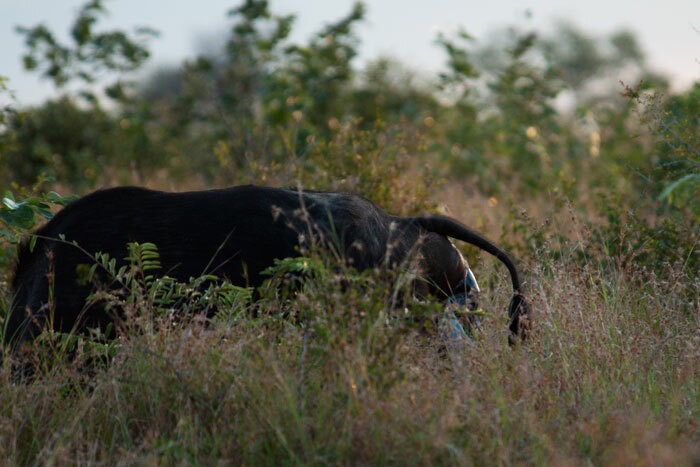 She then scent-marked on a fallen Marula tree, behaving very territorially and therefore increasing our suspicions of a territorial standoff. 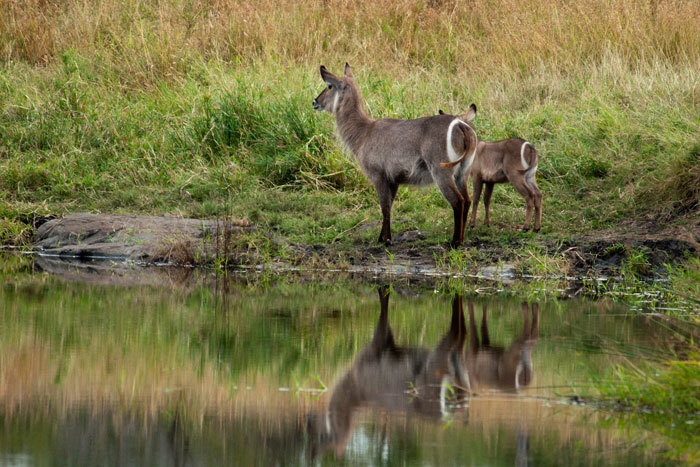 A waterbuck and her calf stand appropriately at the water, looking at a snake which had frightened them and then scurried off. They are displaying their diagnostic feature: the white ring around the tail. The most widely accepted theory behind the evolution of this marking is that it serves as a 'follow me' sign for the rest of the group to follow when moving through thick bush. The Marthly Male and the Mashaba Female after mating. 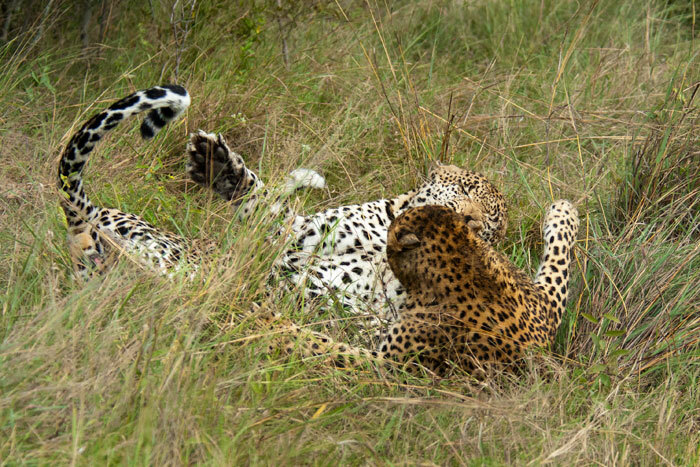 This was an interesting (as well as extremely active) sighing, as it was only the second time the Mashaba female has mated, that we know of. This indicated the probable reason why she had ventured outside of her territory - to find a male. Here, she was north of the Sand River, in her sister Tutlwa's territory. 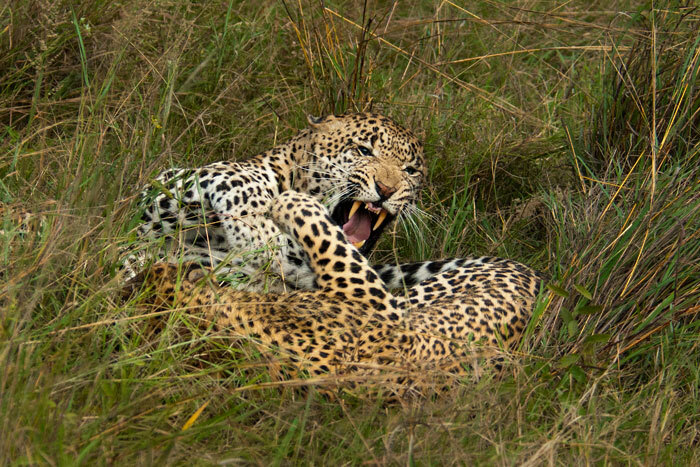 The Marthly Male gives his companion a harsh growl post-mating. 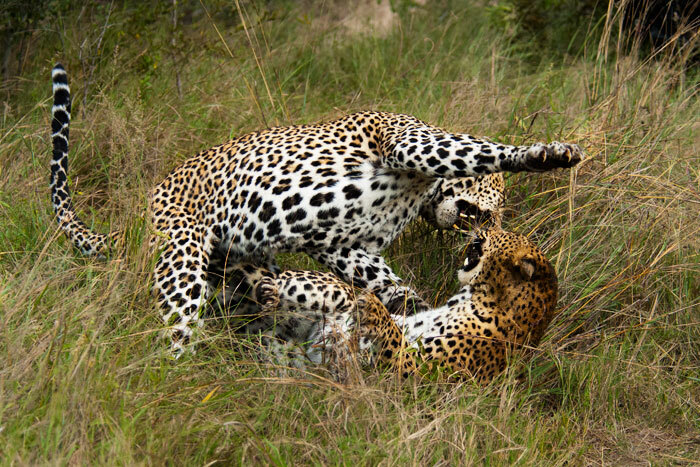 As with all leopard mating sessions, it was quite an aggressive encounter. 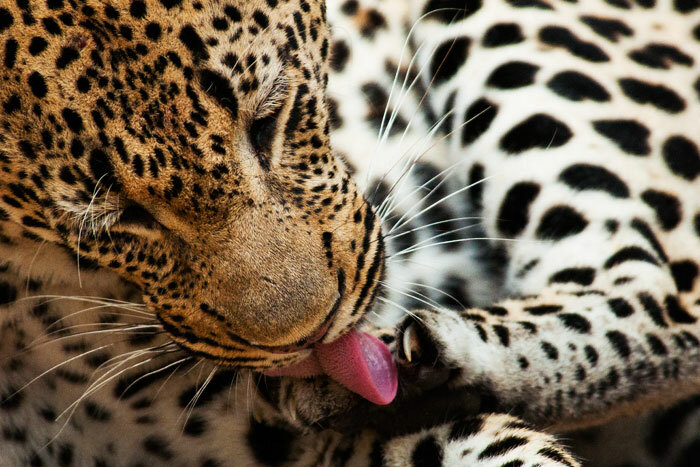 Teeth bared and claws extended, the pair express their affections for one another in a way only leopards can! The Marthly Male gets a claw in his mouth. 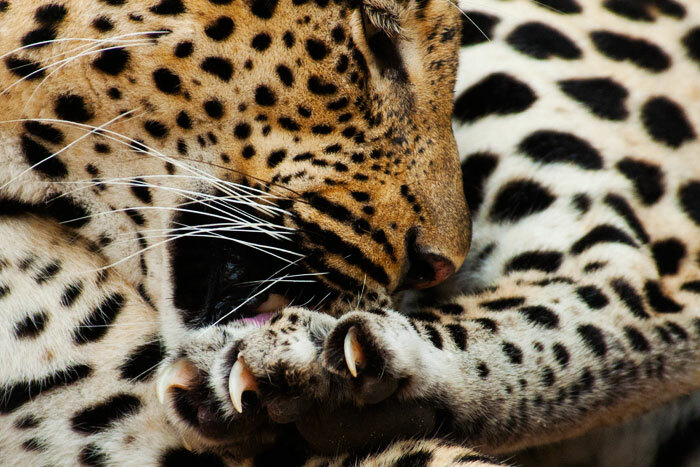 In the life of a leopard, even the honeymoons can be dangerous! 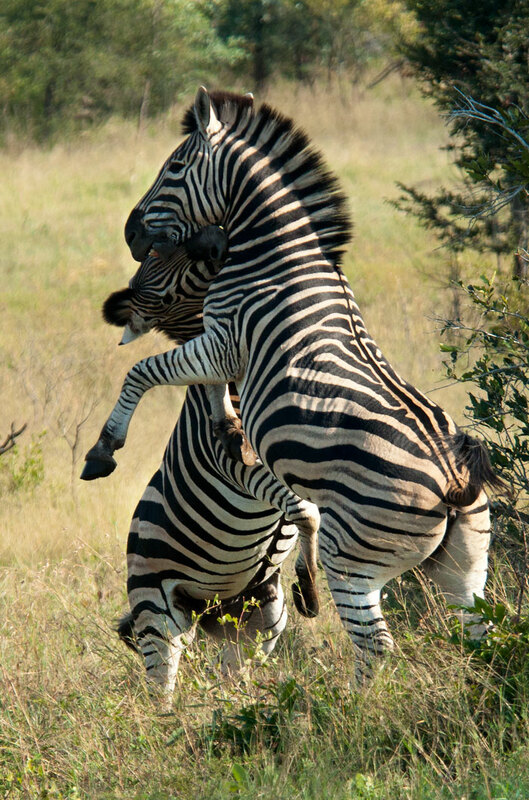 Two zebra stallions fight for dominance over a nearby dazzle. 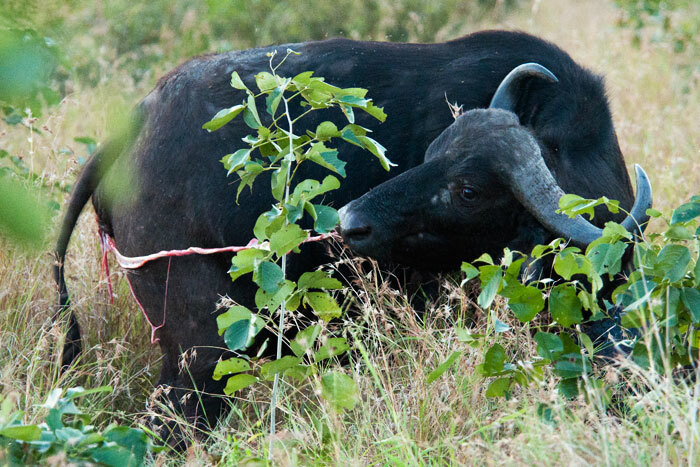 One highlight for me this week - and in fact for my whole guiding career - was witnessing a buffalo giving birth. It was a difficult event to photograph because of the dim light and tall grass, but a miracle to watch! The cow stood on the outskirts of the herd of hundreds and delivered in minutes - much more quickly than I thought! She was very relaxed and continued to graze while the calf was coming out. When we first spotted the animal in labour, one of the first questions asked by the guests was, 'Will she eat the placenta?'. Freddy quickly replied, yes. What we didn't expect was how quickly she would eat it. Even before tending to the calf, she consumed most of the placenta. The mother pushes the newborn to its feet. Freddy timed from the moment the calf was born til it walked away and joined the herd with its mother - 23 minutes. Incredible! 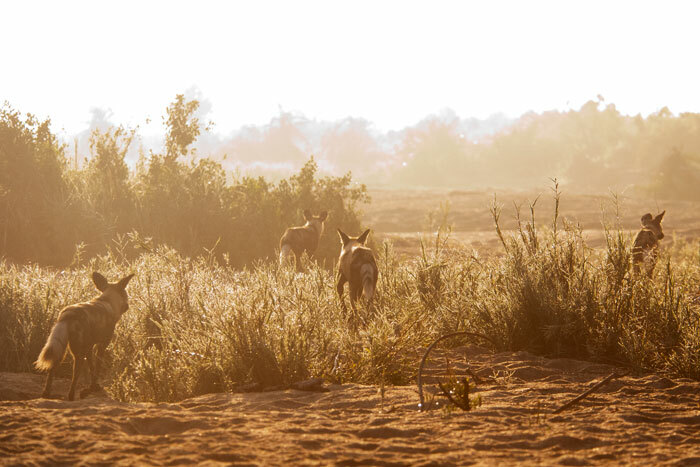 A Wild dog runs after an impala, into the sunset. 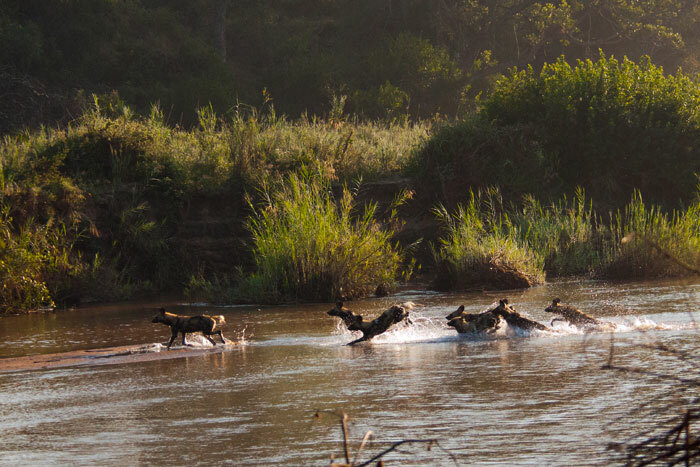 We were treated to a few different sightings of the pack this week on Londolozi. Two of the females are heavily pregnant, and we are hoping they will set up a den somewhere nearby! 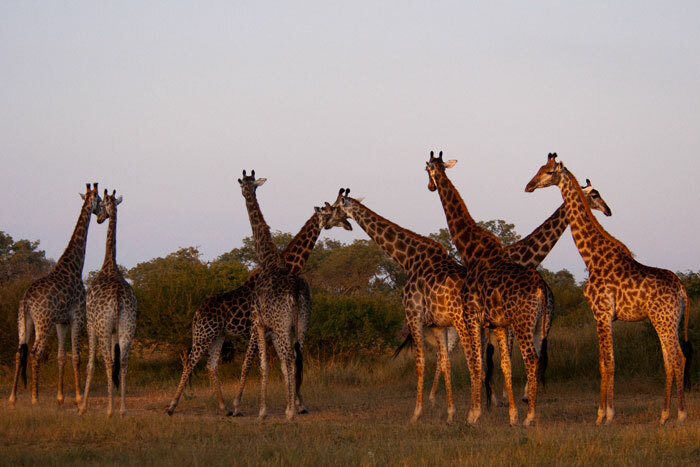 A large journey of giraffe congregates on the airstrip in the first morning light. 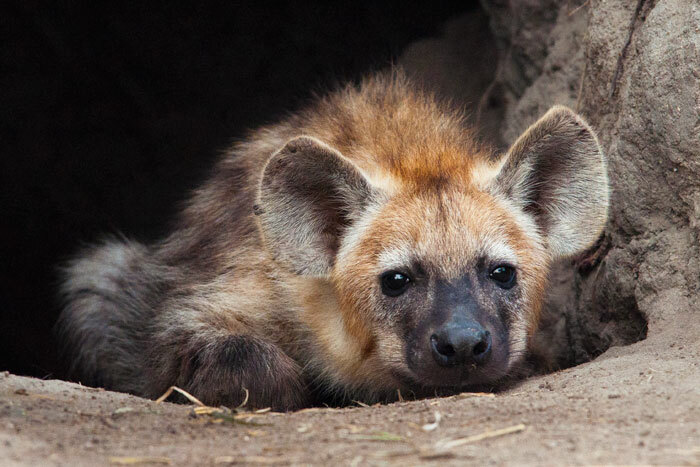 A hyena cub waits at the entrance to the den for its mother's return. This is the same youngster as we photographed so much about 4 months ago. We thought they had vacated this den site but our colleagues Daniel and Like rediscovered it this week. It has grown quite a bit in the past few months! 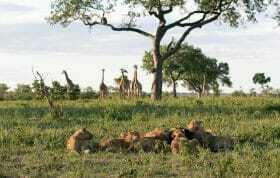 The mother did return to the den that morning, and laid down to rest outside the den, all the while keeping close watch towards the east where some baboons were alarming. She then nursed the youngsters. There appears to be only two left of the original three. 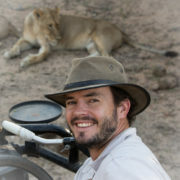 Sad, although to be expected with young predators maturing, as typically cub mortality rates are quite high. 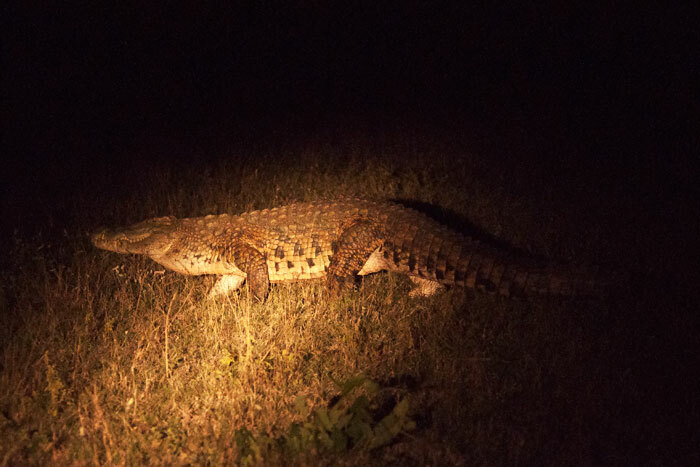 Another surprise this week - coming across a huge crocodile on the airstrip coming back from afternoon game drive! Crocodiles will move between water sources over night, but it is rare to see them do so as they are quite shy when out of the water. When we came across him he seemed to be enjoying the heat of the stone on the runway, but then scurried away. 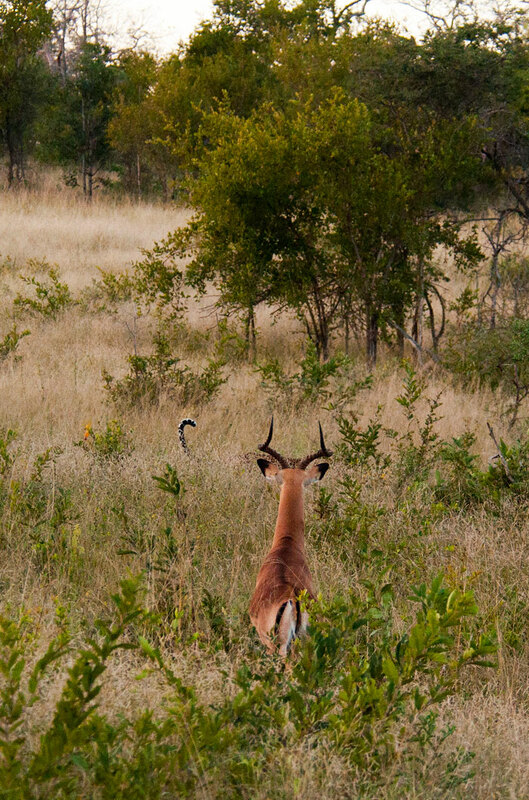 An impala alarms at a passing leopard. It was the Tamboti Female, who displayed the 'surrender' flag - the white tip of the leopard's tail which they hold high when they know they've been spotted - seemingly a sign to let the alarmer know they are just moving through the area and not interested in hunting them. The Tamboti Female walks in front of the sunset. She was calling territorially, making for a dramatic sighting. 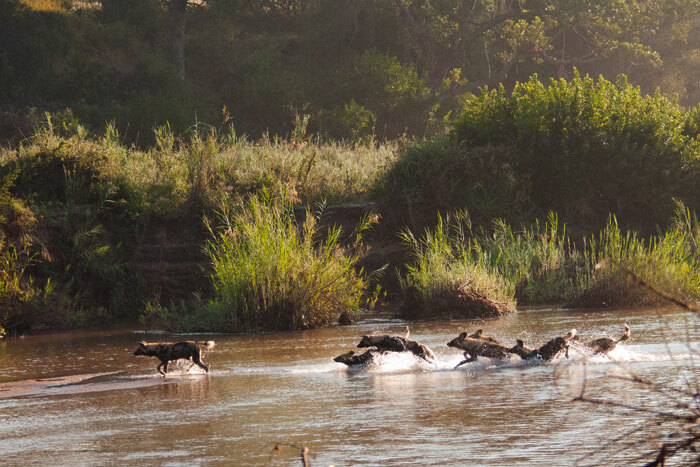 Another incredible wild dog sighting was at the Sand River itself, where they played on the sandy banks and eventually crossed to the northern side. This was the second time I have seen these animals crossing the river, and it is always very exciting! 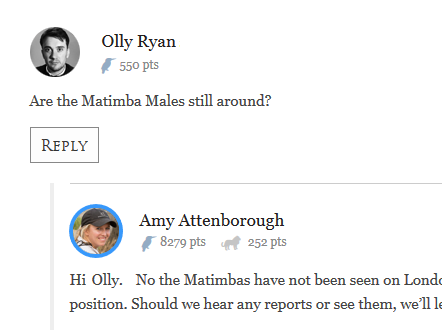 Their inherent fear of crocodiles makes them race across the water, leaping acrobatically. After a safe crossing, they hunted impala on Marthly, and just before giving up, managed to kill two unsuspecting warthogs... a real feast for this pack of 8! The Maxabene Young Male grooms after feeding on his impala carcass. Getting even between his toes, the Maxabene Young Male shows how his coat stays so beautiful. 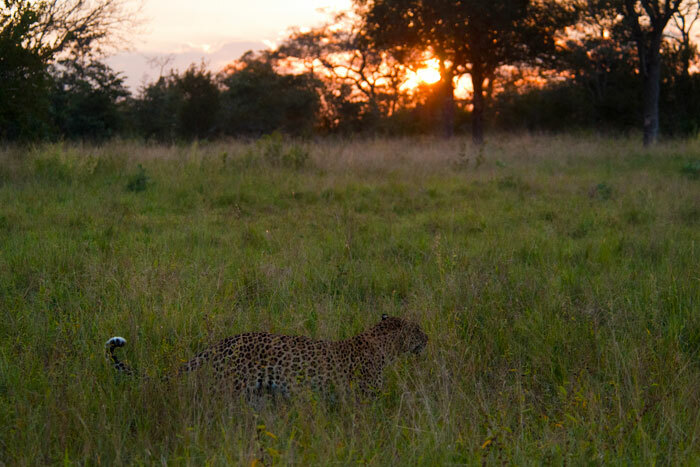 Sometimes it is the quiet moments like these that make our experiences so special in the bush. As clearly evidenced by the closeness of this photo, this young male came very close to our vehicle and allowed us to share an intimate moment with him. 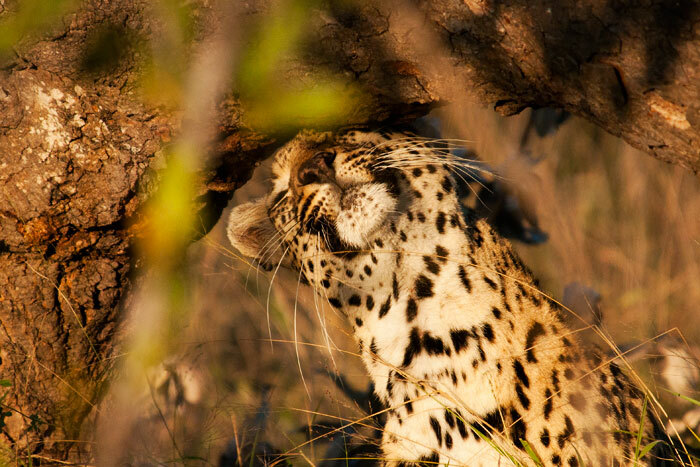 The guests could even identify his 'spot pattern' - the markings we use to identify leopards - without using binoculars. The excitement and trust is almost tangible in a moment like this. 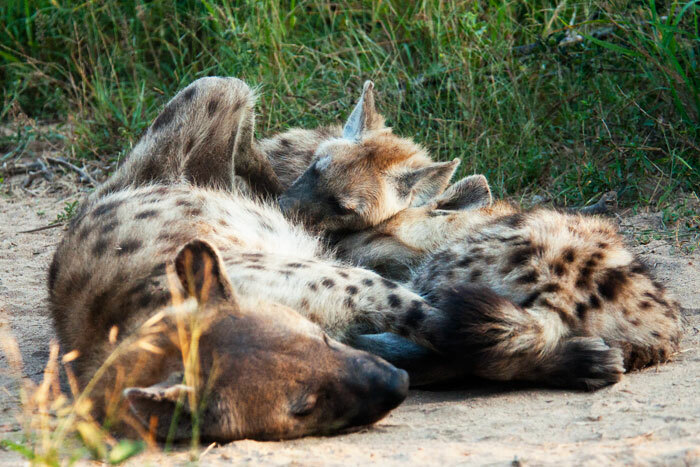 Seeing these pictures is making me ache to return to Londolozi. Especially amazing picture of the zebras. I wish I had your job! Wonderful – every week it is such a joy to switch on a computer and witness the glory of nature through your stunning photographs Talley. Seeing a newborn is always unforgettable, what a magical experience. I have just been catching up on the recent blog entries, I do hope you are all fit and well again, especially after having to drag a member of the accounts department back out into the wild!!! Great weekend to one and all …. Talley, you never disappoint us. Thank you. 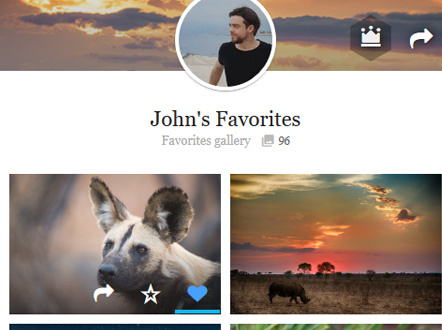 Leopards, wild dogs and crocs, oh my! Talley these pictures are absolutely fantastic!! 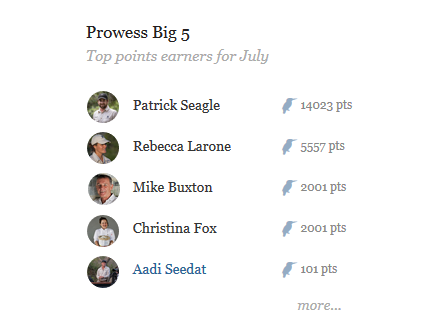 You all had a very exciting week. So many wonderful sightings. Thank you for sharing, much appreciated! Talley, hard to believe, but I think you’ve outdone yourself! I can’t pick a favorite, although, since I haven’t ever seen a klipspringer, that photo may be it! They are BEAUTIFUL! But, seeing a newborn is always among my top ten, so the calf is adorable! 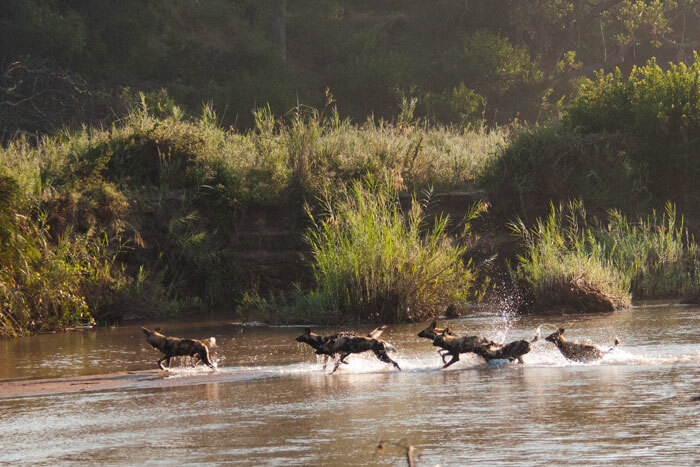 AND, the wild dogs dashing through the water…would LOVE to see that as well! 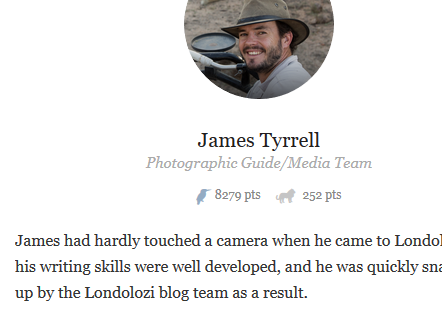 (Hope they do set up ‘camp’ at Londolozi…that would be amazing!) 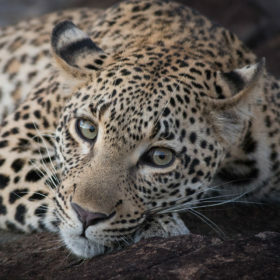 As always, the leopards are my favorites, however, (and the Tsalala pride) and I love to see them thriving. Wonderful job Talley and company! Thanks for sharing! Another wonder weeks worth of pictures.. thank you for sharing. Oooooo, I so love close-up shots like that. Thanks for sharing. I love these pics Talley. My favourite week ever!!! 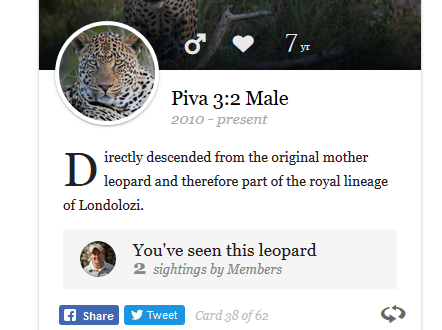 I was there this week at Londolozi! So many fabulous sightings – the journey of 10 giraffes; a herd of 20 elephants walking directly on either side of our Land Rover; watching one of our team’s video of the birth of the water buffalo baby; and driving through the bush (literally, driving over the bushes) to keep up with the wild dogs was spectacular! Talley, tell Sean and Lucky that we miss them already! 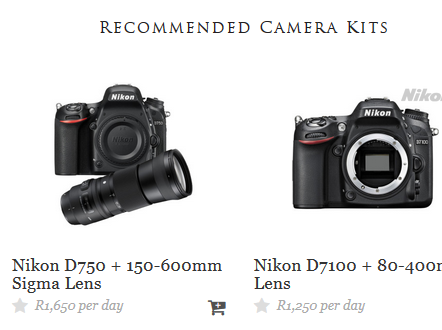 What a wonderful blog! all of the shots are outstanding. Cant wait to get there on the 13th! Talley! Unbelievable shots. What a week! Save something for us when we arrive in Two weeks! Great shots Talley. Who else has Mashaba mated with recently? 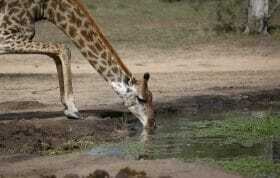 Oh the giraffes!!!! Amazing. And the Klipspringers are such comical poses, also love the close up of Maxabene male… Looks like a great week out there! 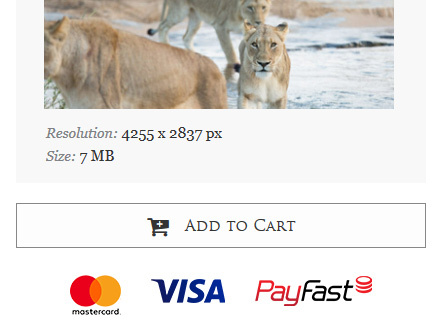 The photos are brilliant- those capture the essence of Londolozi. 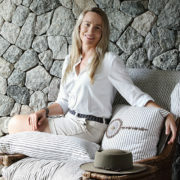 Londolozi is truly ‘Heaven On Earth’- everything is perfect and real. We visited in May/June 2010 and we had Richard and Oxide- who guided us really well. 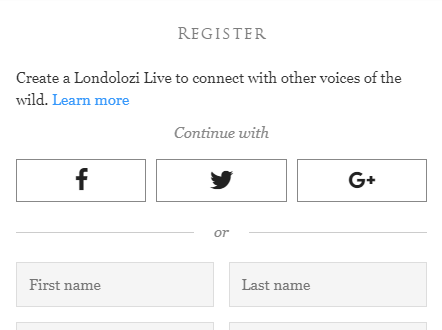 It is a dream vacation- when I describe Londolozi to friends- they are unable to imagine an enchanting place like it exists! 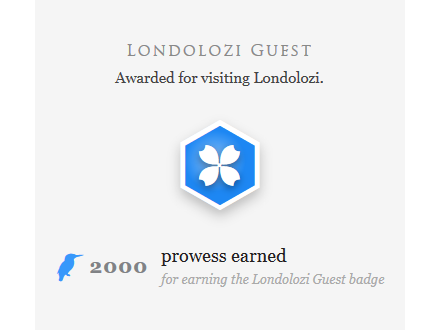 Infact Londolozi was so highly recommended to me by a friend, that I just had to visit. And I fell in love with what I saw and experienced!